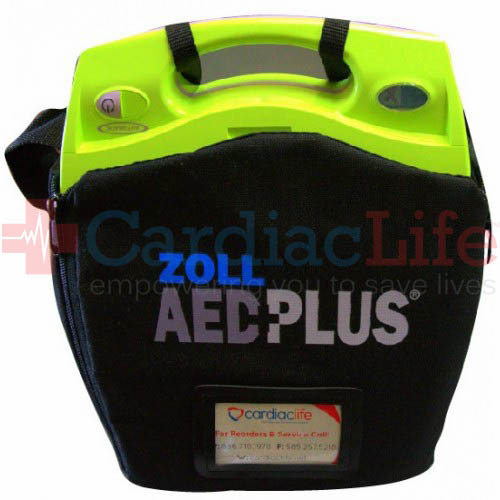 The ZOLL AED Plus Soft Carry Case was designed so that the AED will fit securely inside. The black strap allows you to carry the AED on your shoulder while the side pouch allows for storage. 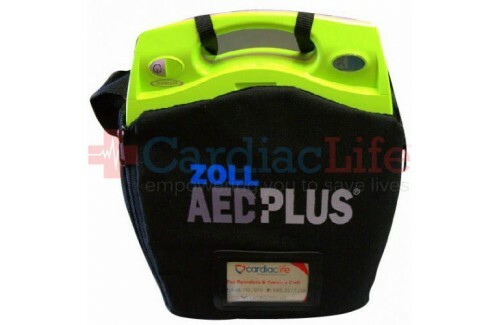 Measures: 9.25" x 8.25" x 6.25"
Looking for other storage options for your ZOLL AED? Check out our other ZOLL AED carry cases. When you purchase a ZOLL AED Plus Soft Carry Case from Cardiac Life you'll receive Free Shipping. To be indemnified under the Good Samaritan Law, follow manufacturers guidelines. Use AEDSafetrack Program Management to document that your AED is compliant with local and state laws.